Turmoil in emerging markets and a month of disappointing job growth at home are unlikely to deter the Federal Reserve from trimming its bond-buying stimulus on Wednesday, as Ben Bernanke wraps up his last policy meeting at the helm of the U.S. central bank. Overall signs of improvement in the U.S. economy suggest Fed officials will stay on track to cut monthly purchases of Treasuries and mortgage-backed securities by $5 billion each, bringing the total of their monthly asset purchases to $65 billion. The meeting is Bernanke's last before Vice Chair Janet Yellen moves into the top spot. Bernanke took the Fed far into uncharted territory during his eight years on the job, building a $4 trillion balance sheet and keeping interest rates near zero for more than five years to pull the economy from its worst downturn in decades. 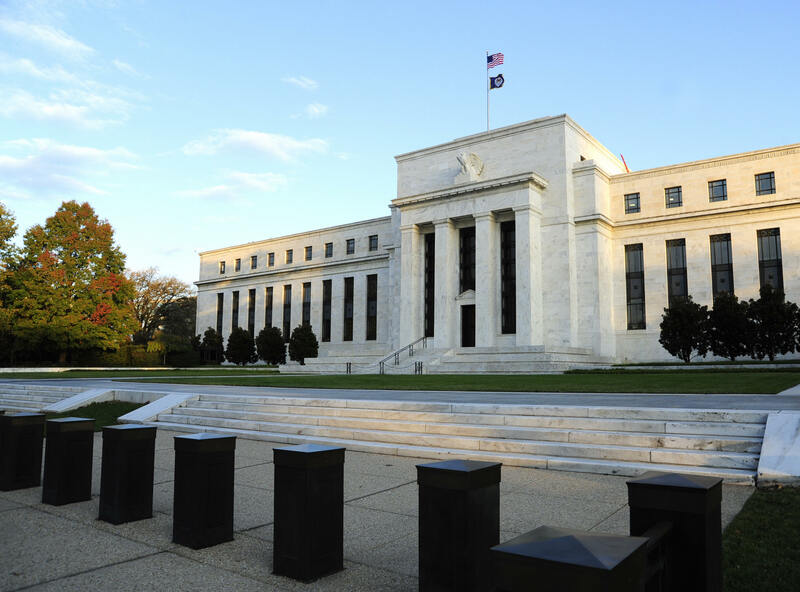 With those efforts beginning to pay off -- and concerns growing over possible harm from so much money printing -- the Fed announced plans last month to phase out the bond buying by late this year unless the economy takes a decided turn for the worse. It started by trimming its monthly purchases to $75 billion from $85 billion, and on Wednesday, the U.S. central bank is expected to shave another $10 billion. "It's clear the Fed wants to taper," said Eric Stein, portfolio manager at Eaton Vance in Boston. Even so, the Fed is nowhere near to making a decision to raise rates. Policymakers are expected to stick to their promise to keep rates near zero until well after the U.S. unemployment rate, now at 6.7 percent, falls to 6.5 percent. The Fed is set to announce its decision at 2 p.m. ET. A dismal employment report for December showing businesses added far fewer jobs than expected raised some doubts about the Fed's commitment to keep tapering its stimulus. But largely upbeat data in recent weeks, from consumer spending and confidence to industrial production, bolstered the view of an improving economy, which forecasters estimate grew at an above-trend annual rate of 3.2 percent in the fourth quarter after notching a 4.1 percent advance in the previous quarter. The show of strength provides a welcome backdrop for Bernanke, who steps down on Friday after an unusually tumultuous and highly experimental stint atop the world's most influential central bank. Steep losses in emerging market assets over the past week led some to question whether the Fed might put plans to trim its bond buying on hold. Analysts said the prospect of less Fed stimulus had added to other worries, from signs of slower growth in China to political turmoil in countries from Turkey to Thailand, and helped spark investors' flight. But on Wednesday, Turkey's central bank sharply raised its main interest rates, stemming both a slide in the lira and fears about cuts in U.S. monetary stimulus. That move could make the Fed's decision to trim its bond buying even easier, economists said. "It would take a full-blown crisis that ensnares all (emerging market economies) to have a material effect on the U.S. economy, and I don't think that's what they see," said Roberto Perli, a former Fed official who is now a Washington-based partner at economic research firm Cornerstone Macro. "Clearly emerging-market financial markets are in turmoil for reasons that have little or nothing to do with the Fed likely tapering again." That is not to say the decision will be a slam dunk. Dallas Federal Reserve Bank President Richard Fisher, who is a voter on the central bank's policy-setting panel this year, has argued for a more aggressive withdrawal of purchases. On the other end of the spectrum, Minneapolis Fed President Narayana Kocherlakota, also a voter, has argued for more, not less, stimulus, and that view could translate into a dissent. Still, the Fed puts a high premium on consensus, and Kocherlakota may feel that presenting a united front on policy could be a stabilizing force for financial markets, Eaton Vance's Stein said. "I don't think it's completely pro forma," he added, "but I do think the consensus of the committee is to taper, about in line with the last meeting."